T.J. Dillashaw has fixed his sights on a second Ultimate Fighting Championship title. The reigning bantamweight champion will downshift to 125 pounds to challenge Henry Cejudo for the undisputed flyweight crown in the UFC Fight Night 143 headliner on Jan. 19 at the Barclays Center in Brooklyn, New York. The event marks the promotion’s debut on the ESPN Plus streaming platform. Dillashaw, 32, finds himself on a career-best four-fight winning streak, as he seeks to join Daniel Cormier, Conor McGregor, and Amanda Nunes as the only simultaneous two-division champions in UFC history. In his way stands Cejudo, a one-time Olympic gold medalist who made a smooth transition to mixed martial arts in 2013 and has been on the rise ever since. 1. Wrestling was his foundation. Dillashaw was a standout wrestler at Bret Harte High School in Angels Camp, California, where he compiled a stellar 170-33 record across four years. He went on to become a three-time national qualifier at California State University, Fullerton. 2. A reality show served as his springboard to the UFC. 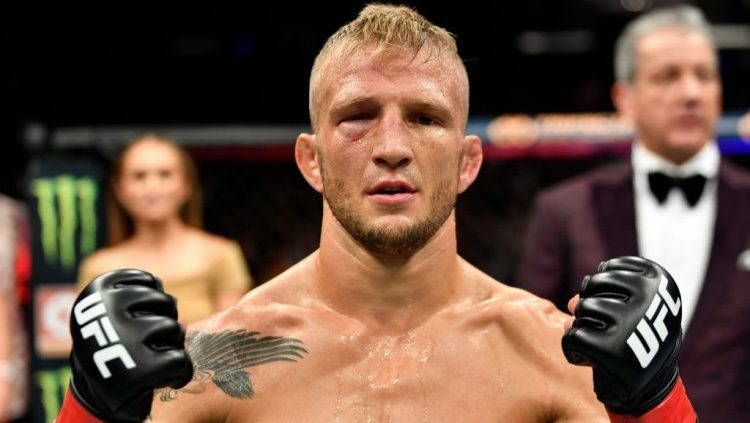 Dillashaw appeared on Season 14 of The Ultimate Fighter and reached the bantamweight tournament final before losing to John Dodson in a first-round technical knockout. During his stint on the reality series, he defeated Matt Jaggers, Roland Delorme, and Dustin Pague. Dillashaw was the third overall pick of coach Michael Bisping. 3. He belongs to an exclusive club. 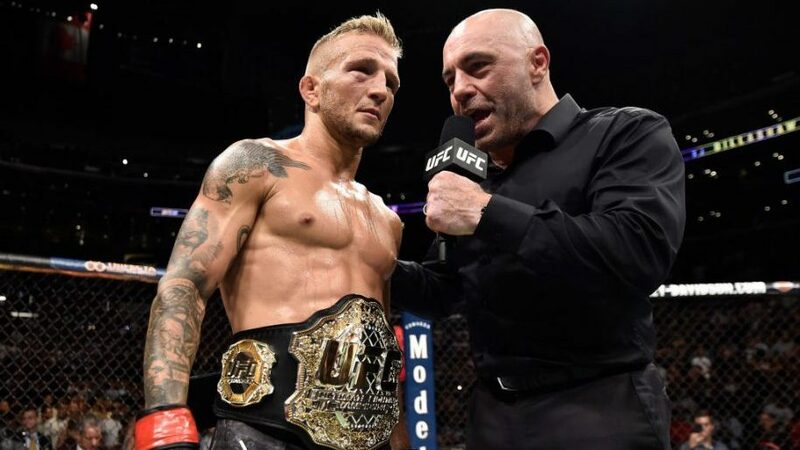 Dillashaw remains one of only four fighters who have captured the undisputed UFC bantamweight championship. Dominick Cruz, Renan Barao, and Cody Garbrandt are the others. He has beaten both Barao and Garbrandt twice. 4. He has plastered his name all over the FightMetric record book. 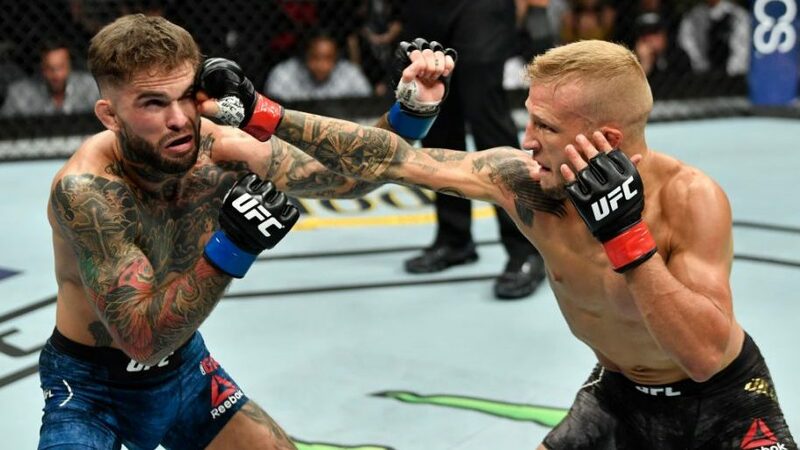 Dillashaw ranks first on the UFC’s all-time list for bantamweights in knockdowns landed (nine), total strikes landed (1,340) and significant strikes landed (1,004) and second in strikes landed per minute (5.38), strike differential (2.44) and total fight time (3:06:27). 5. He has only lost to top-shelf opposition. The three men to whom Dillashaw has lost — Cruz, Dodson, and Raphael Assuncao — own a cumulative record of 69-17. That equates to a .802 winning percentage. Venture CMG: JustRotten.com Copyright © 2016 | All Rights Reserved.